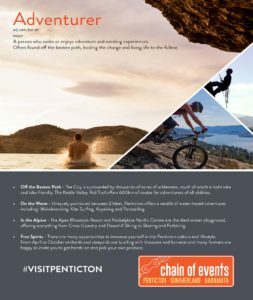 Travel Media - Interested in Visiting Penticton? 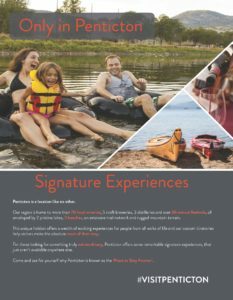 We appreciate the vital role that travel media plays in the tourism industry and offer numerous support services and resources for journalists. Our team is trained to help you produce quality, factual, intriguing and interesting stories for your audience. 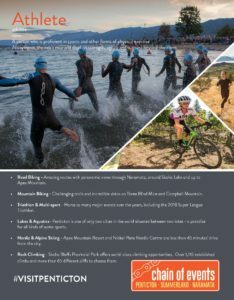 Offer story ideas and key contacts. 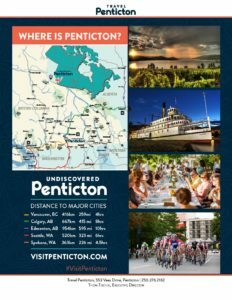 Fact-check your Penticton & Wine Country information. Provide high quality images, upon request. 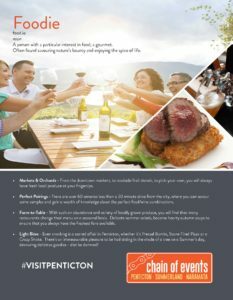 Assist with visits to Penticton & Wine Country. 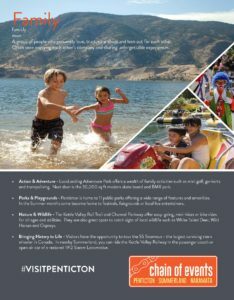 Travel Penticton has a vast directory of images of our beautiful region filed under various categories for easy access.